Persons involved in peatland management can benefit from Peatland Ecology and Forestry – a Sound Approach, a new very well-illustrated book that gathers an impressive array of research from various countries and regions. By making use of the knowledge collected in this book, forest managers should achieve higher growth and yield and greater output of other goods and services from peatlands already claimed for forestry; and improved site selection for various purposes, including mire conservation. The publication came about in response to requests for a comprehensive source of reading material on the subject from policy makers, students and others interested in managing peatlands and mires. 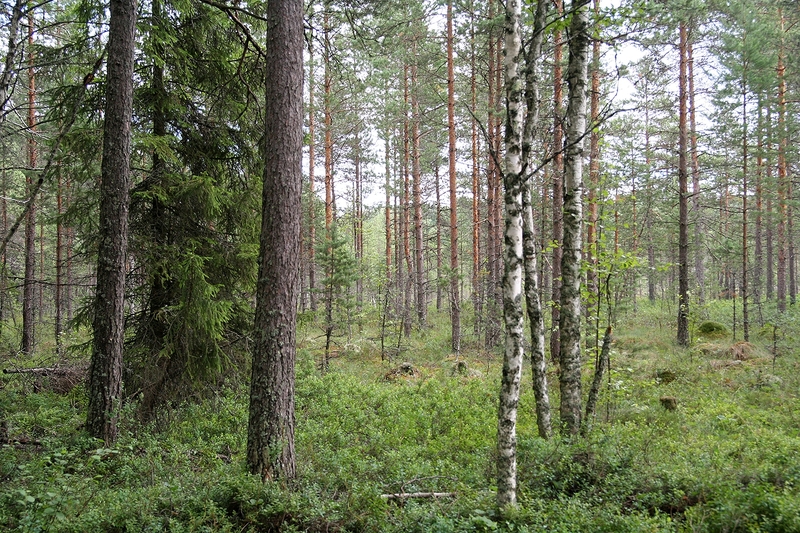 Juhani Päivänen of the University of Helsinki Department of Forest Sciences and Björn Hånell of the Swedish University of Agricultural Sciences Department of Forest Ecology and Management collaborated on the work. For them, it was a labour of love. Their work was unpaid and done in their free time. It takes a broad scope approach – from basic ecological principles to land classification and applied peatland forestry – based on common knowledge and the most recent reported findings from more than 900 references. The heart of the matter is this: Northern peatlands and mires are an important resource that can be utilized for forestry purposes. But that resource must be utilized in a responsible fashion. Peatlands are major storers of carbon. However, when they are drained and used – normally for agriculture, grazing and forestry – they become significant sources of greenhouse gas emissions. But they can, and should, be used. So it is obvious that making the best possible choices and decisions when those lands are used, can only help. The contents of this publication will assist those interested in these issues to increase their knowledge of peatland ecology, and to come to a better, more comprehensive understanding of responsible land use that includes improved peatland forestry management as well as wise mire conservation. overall, it illustrates that peatland forests represent a renewable resource that can be responsibly managed based on ecological principles. Finland: forest-office(at)helsinki.fi or Sweden: forecoman(at)slu.se.